Fibre Broadband - uno Communications Ltd.
Broadband designed for the best performance without the need for traffic management or shaping. With support in the UK, you can be assured of the best help from our own staff, not outsourced elsewhere. All our broadband packages include unmetered usage so you don't have to worry. Provided using the BT Wholesale network, our Fibre packages are available to all exchanges that are enabled for VDSL services. An assured rate of 20Mb is provided with the service (where the line rate is higher). 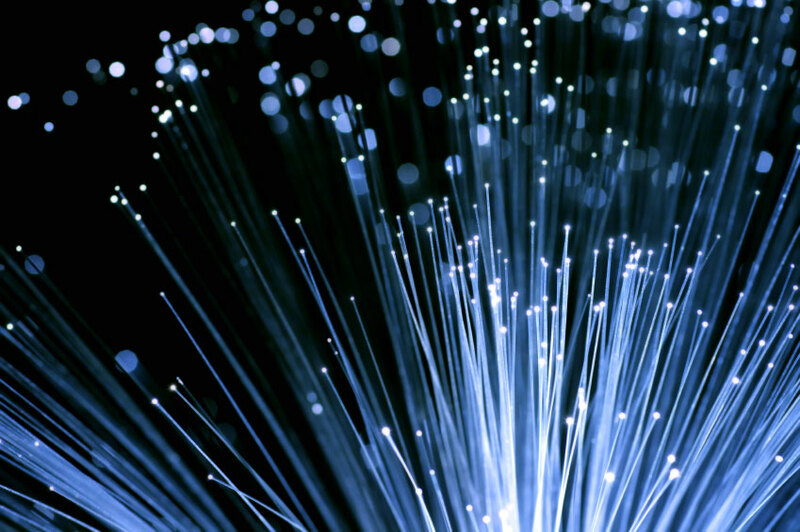 Fibre is suited for high usage with an unmetered bandwidth allowance. Service is based on a 12 month term at the installation address. Suitable for lines capable of no more than 40Mb (10Mb upload). 250MB of shared email and webspace is provided allowing an unlimited amount of email addresses and hosting for one real domain name. We do not enforce any traffic management, or blocked ports. Your connection is delivered as it should be. Provided using the BT Wholesale network, our Fibre+ packages are available to all exchanges that are enabled for VDSL services. An assured rate of 40Mb is provided with the service (where the line rate is higher). Fibre+ is suited for high usage with an unmetered bandwidth allowance. Service is based on a 12 month term at the installation address. Suitable for lines capable of no more than 80Mb (20Mb upstream). Provided using the TTB LLU network, our Fibre Pro packages are available to all exchanges that are enabled for VDSL services and that are on the TTB LLU network. Fibre Pro is suited for high usage with an unmetered bandwidth allowance. Service is based on a recurring 1 month term at the installation address. Suitable for lines capable of no more than 40Mb (10Mb upstream). Provided using the TTB LLU network, our Fibre+ Pro packages are available to all exchanges that are enabled for VDSL services and that are on the TTB LLU network. Fibre+ Pro is suited for high usage with an unmetered bandwidth allowance. Service is based on a recurring 1 month term at the installation address. Suitable for lines capable of no more than 80Mb (20Mb upstream). Service is based on a minimum 12 month term at the installation address. Suitable for lines capable of no more than 40Mb (10Mb upstream). Service is based on a minimum 12 month term at the installation address. Suitable for lines capable of no more than 80Mb (20Mb upstream). Certain one off charges apply to all broadband services, including but not limited to activation, migration and cessation of service. Our suppliers do charge fees for cessation of service as well as some migrations to other providers which are passed on to you. Where an activation or migration of service is provided without charge (indicated as £0.00 during your order), if the service ends within any minimum term, a deferred fee will be charged in full. A MAC is no longer required to migrate to us and you do not need to get one from your existing supplier. Active phone line required for entire service duration. Speed stated is estimated based on information from Openreach and your postcode. The speed you receive will depend on several factors including line length and condition, radio and atmospheric interference and exchange contention. We do not make any guarantees about speed, pricing, support, provision or fault resolution timescales outside of any specific product feature or care level selected. Price is per month, and excludes VAT at the standard rate. Product availability is based on your exchange and will vary between exchanges meaning not all products may be available. Product specific information can be found by clicking on the (i) button. All orders are subject to our terms and conditions and price list. Services subject to a minimum contract at the service address. Notice, early termination and cease fees can apply in certain circumstances. Your exchange or cabinet is not currently enabled for the service. You have a new phone line - please wait a few days and try again. You have a service on your phone line that prevents us from checking it. You have a non-BT compatible phone line such as from Sky or Virgin. Available products for your phone number are shown below. Why not look at our other services? Broadband designed for soho use, with generous and unmetered usage. High priority broadband for the best quality of service at peak times. Super-fast broadband delivered over the latest fibre optic network. Standard line rental to compliment our broadband-only services. Use our package builder to find a package that meets your requirements.